This paint is general and conventional one which would have its film thickness of 0.15-0.20 mm after applied/dried. this is cost effective and very good for marking on highway or on airfield in which less vibration being incorporated after marking. This has, however, rather longer drying time & less duration of service than those of other newly developed paints. 'Drying time : 20 min. around. This paint is a marking medium requires a quicker drying time and longer life than cold but still in cost effective. This has less solvent content and requires heating of 60-7O℃ for applying. 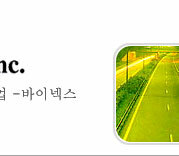 *Typical Applications: for Highway or Airfield. *Drying time : 10 min. around. This type of paint nowadays is most generally used for road-marking. This dries quickly after applied and hence this is very ideal for marking in a full traffic condition. Paint-film reaches 1.5-2.0 mm thick around which gives long service-time. This powdered type of paint requires up to 200℃ heating for application to use. This ready-to-use marking medium is made of Hot Melt Thermo-Plastic paint(HMTP). For marking on road this does not require any of applicators(markers) but you just need a thermal torch for adhesion of the letterings designed. This can be used at any pavement with a good weather resistance. This is excellent for letterings & signings on roads. 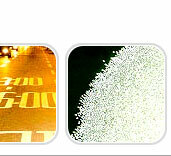 When road marking there need glass beads for night-time visibility of traffic lines/signs. 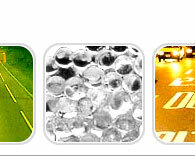 Glass beads has the property of sending the incident light back to its source when it's laid in the road-marking paint. 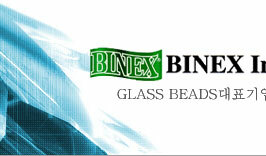 To obtain the best condition of reflection, premix(drop-in)beads shall require 15-20% by weight of the total marking medium. This paints is originally thermo-Plastic powdered type, and melting can be achieved by heating of 180-200℃. There's no need of diluent for application. This paint includes itself 15-20% of premixed glass beads by weight. Marking of this paint shall be by hand applicator(marker) or by machine. On melting process of the paint,one should put the compound(Thermo-Plastic powdered paint) into a kettle(pot) step by step gradually keeping on agitation and heating. For application of the paint(melted)on road you need to shift the liquefied compound(paint) to a applicator. There are two methods of application for primer.